Speed ​​freaks take note . 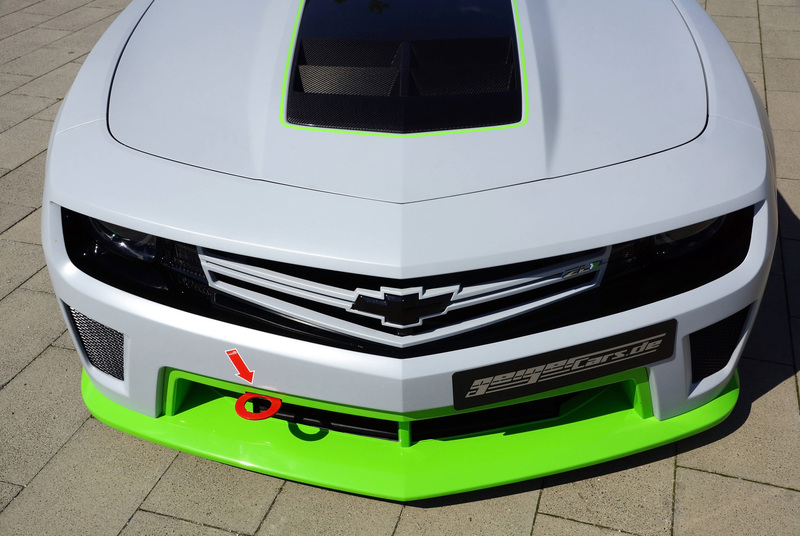 The Munich-based U.S. car specialist Geiger Cars has returned with a new variant on the Chevrolet Camaro ZL1. 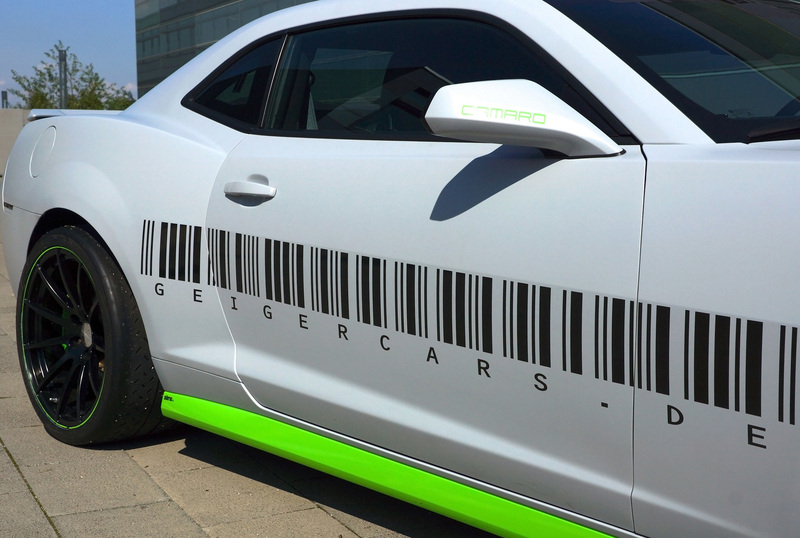 Result: The supercharged Geiger Cars Camaro LS9 runs an incredible 338 km / h top. 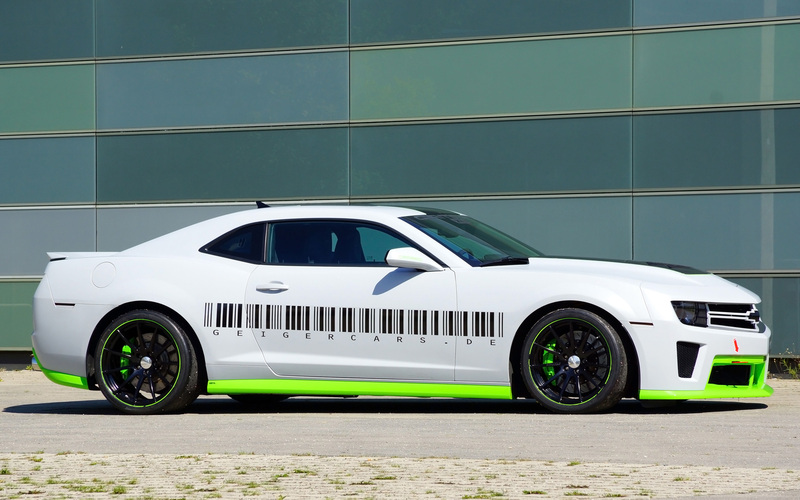 Its 780 hp ( 574 kW) bring the legendary American muscle car to just 3.7 seconds from zero to 100 km / h, and the quarter mile sprint is done in 11.9 s . To match the impressive performance of his latest tuning project, tuner legend Karl Geiger has come up with an exclusive, dynamic design for the over- Camaro. 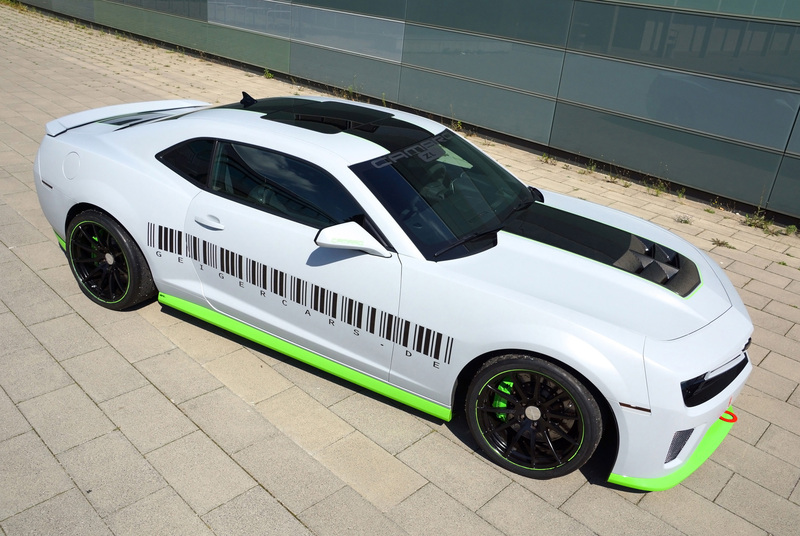 The Camaro ZL1 as a base stands at 68,000 euros. 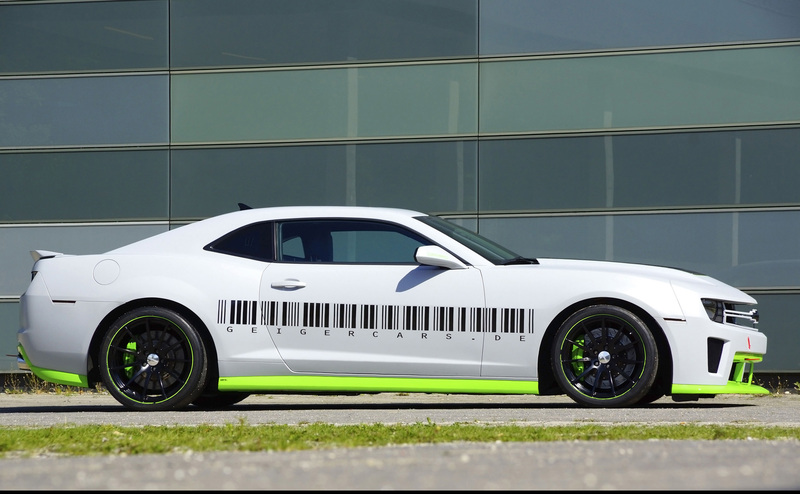 For lush ZL1 features include leather sport seats , air conditioning, six-speed manual transmission and a Boston sound system. The complete LS9- tuning by Geiger Cars includes, among other things, a comprehensive package to improve performance , a high-performance racing suspension and exclusive optical finishes. 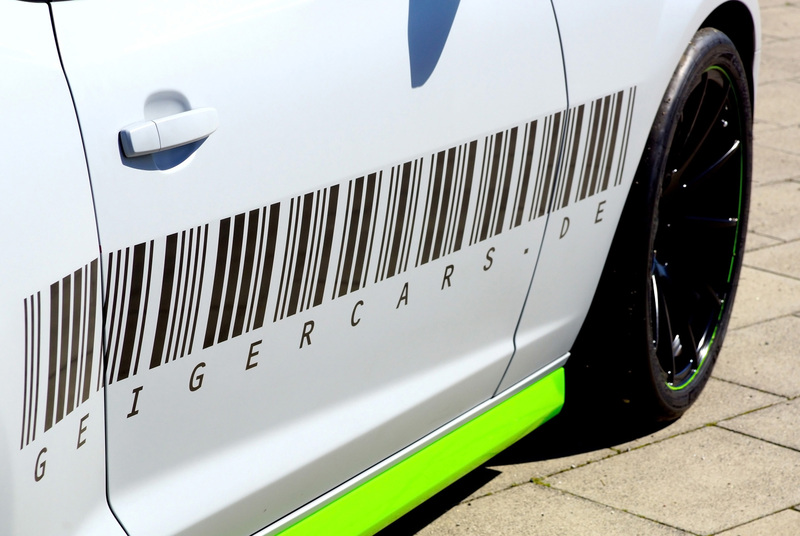 Thus, the added cost of the Geiger Cars package is 189,000 euros (including the cost of the ZL1 basis). 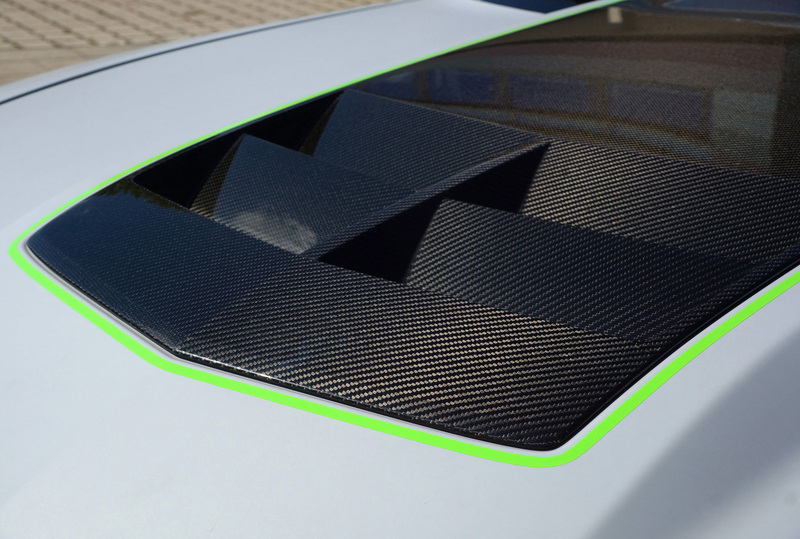 For this, the discerning customer will benefit from the finest ingredients with which the already extremely dynamic Camaro ZL1 is the perfect driving machine and an absolute eyecatcher . 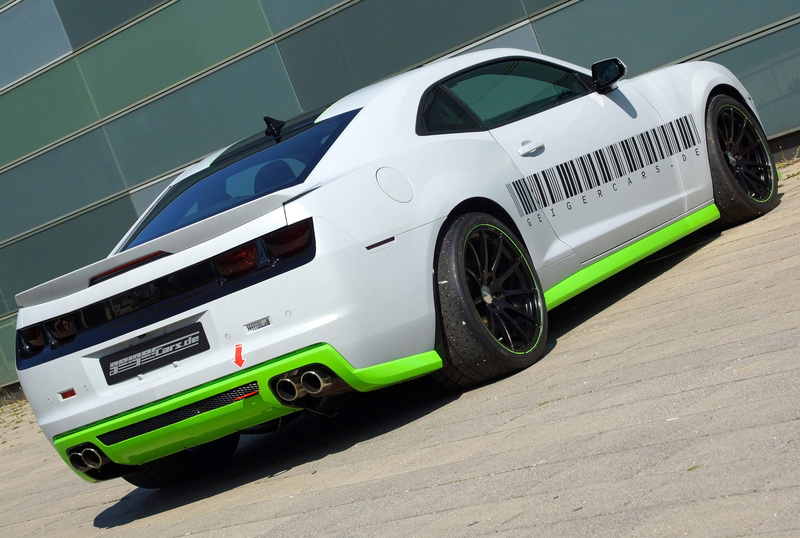 For brutal engine tuning, the Camaro ponies up an 191 additional horsepower, including: Large intercooler, supercharged LS9 , boost pressure increase , forged high-performance pistons , finely optimized cylinder heads , camshaft and crankshaft. 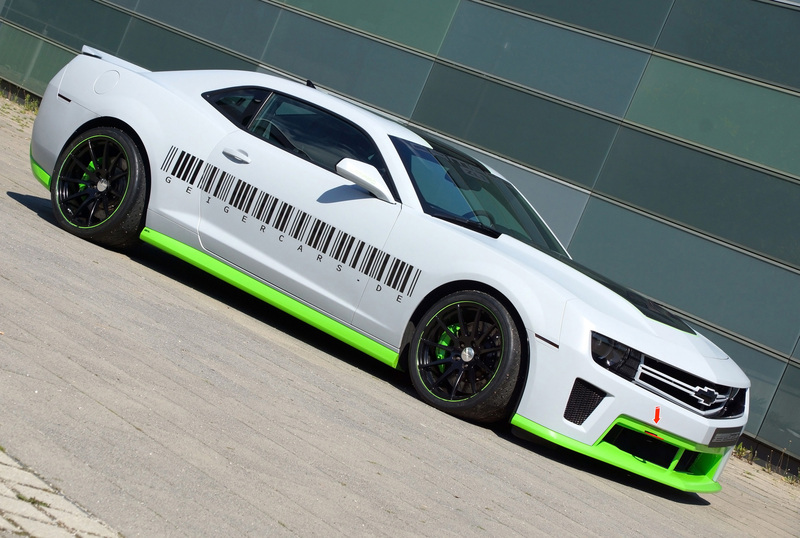 Thus, the Geiger Cars Camaro not only develops enormous 780 hp output , but also an enormous torque of 984 Nm at 4,200 rpm speed. A KW race suspension with adjustable mounts holds the LS9 Camaro on the track as well as racing stabilizers and a stiffened rear axle. 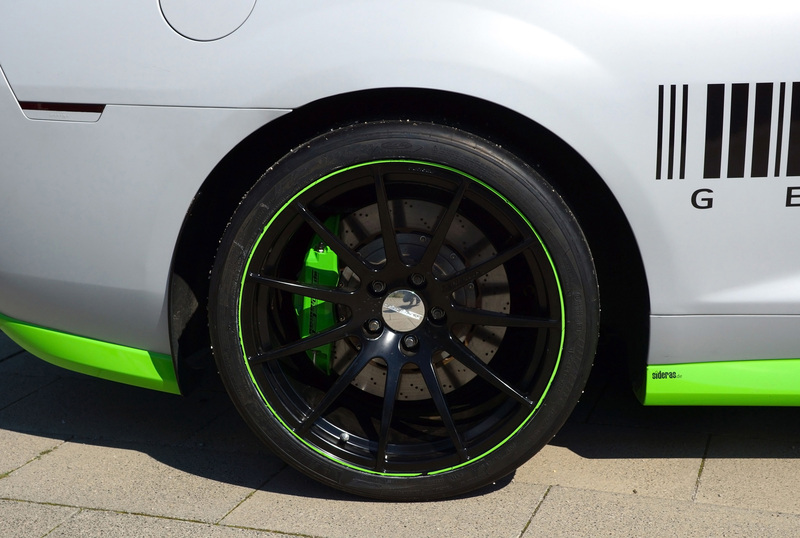 The front 285 and rear 335 mm wide Michelin Cup tires sit on noble Goysar forged rims in 19 and 20 inch rear . Sport brakes provide adequate delay , a sports exhaust for powerful V8 sound and a comprehensive design package , including painting , remodeling and front fender flares for the appropriate dynamic look . 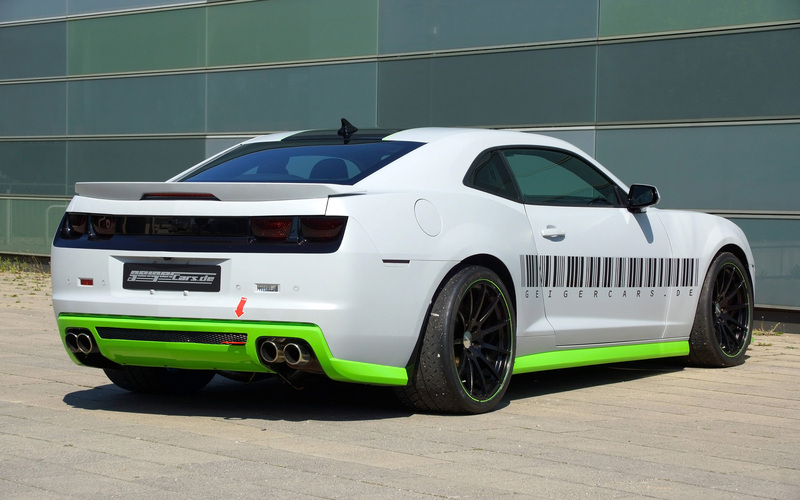 The striking barcode painted on this Camaro LS9 is not only a design but serves a practical function, because it leads straight to the site of geigercars.de .